Nazareth House Apostolate brings many needs to your attention, its all part of life and in a country engulfed in poverty, corruption and illness such as Sierra Leone, the needs are severe. Today in the Christian Calendar, it is The Feast of Corpus Christi, which is the Thursday after Trinity Sunday. It honors the Eucharist, the actual body and blood of Christ. As this Feast Day celebrates the body and blood of Christ, we ask your prayers for the healing of the bodies of many suffering in Sierra Leone, but in particular these two. 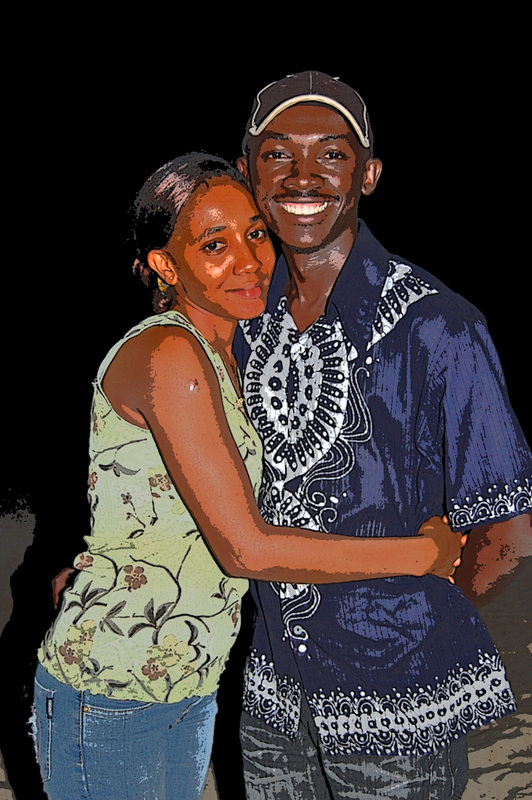 she is also the wife of our director, James Mansaray. Kadijah has contracted a rather severe case of malaria. She has received treatment and is beginning to make progress in recovery but far from "out of the woods". Malaria can recur worse than before in the middle of what seems to be a recovery. Please keep her in your prayers. As we think on the Body of Christ today, within that Body please place Kadijah, and a young boy named Sheaku. An excellent student of NHA School Kabala. Sheaku's body has been invaded with worms. His belly is hard and extended. The supply of worm pills that NHA had in Kabala has been exhausted, however, James had a few pills left at St. Laurence House and has sent via bus to Kabala. They should arrive today, barring no interference during their travels. Sheaku must start treatment immediately if he is to survive. 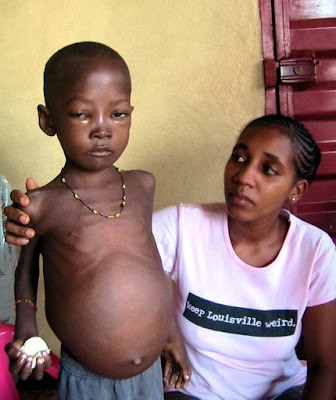 He is unable to eat There are no supplements such as pedialite in Kabala. We are giving him Fanta to keep him nourished until the Parasite treatment can be started and there is room in his belly for food again. I ask your prayers for these situations. I am remembering (and I am sure it is on your mind, too) another Sheku (spelled differently but a little boy with worms just the same). 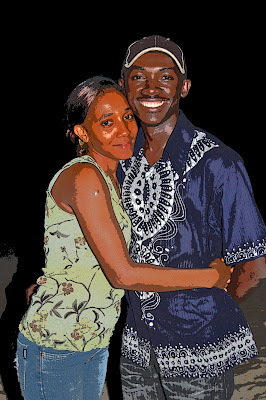 (A DIFFERENT) Sheku & Kadijah the day before he passed on. For the previous Sheku, we had no way or means to obtain worm medication. In this picture the child has been brought to St. Laurence House for help and Kadijah is trying to get nourishment into him, yet, without the treatment, he dropped the body the day after this photo was taken. ....and now another Sheaku with the same situation. We thank God that through the unity within NHA, the working together to help each other, at least this time, we have the medication to try and cure him. We hope that the means continues to be available and obtainable to us. Please Pray.